Some of the other guys from PARA. 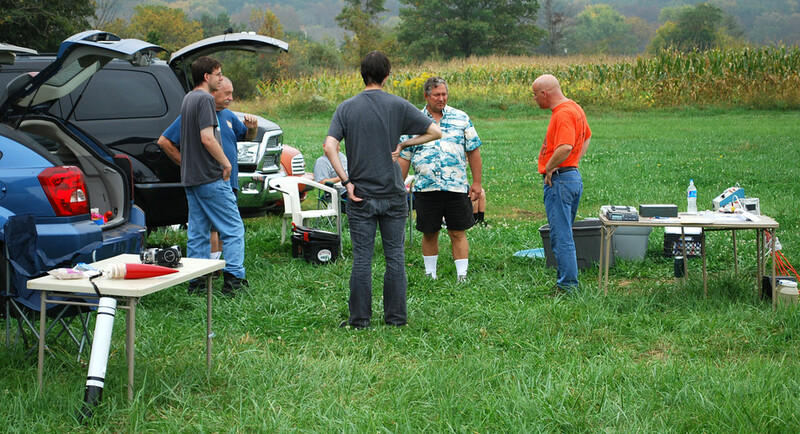 Barry McGarvey, president, is in the orange shirt. 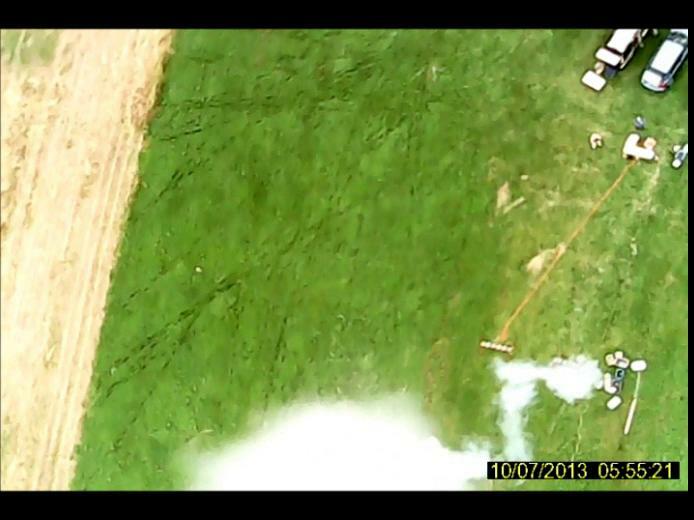 A high power scratch built rocket shoots off the pad. It wasn't stable and it crashed. Spectacularly! 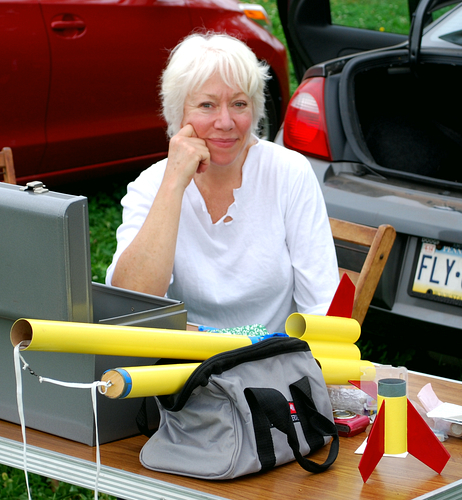 Andrea helps in the construction of all my rockets. Hey Andrea! Nice ... license plate. What's with the look? Now we're going to close the place down. 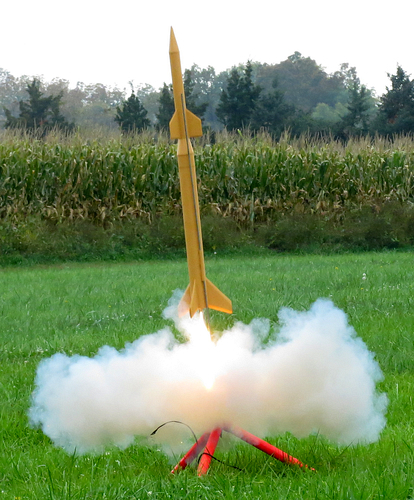 The last launch of the day will be Sput-Two-Nik ....but I forgot the igniter! I'm running back to get one, the PARA dudes want to pack up and are waiting for this thing to take off. It was worth the wait! 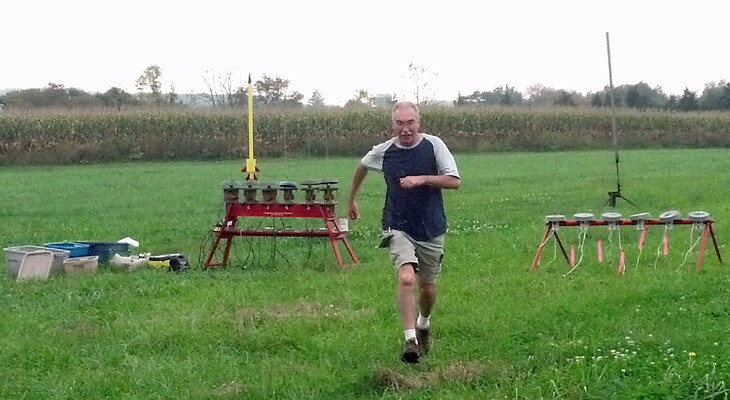 Another perfect flight, though it landed in the corn. John recovered it, he needs an award or something. If you're not tired of watching what seems to be the same video over and over, this is probably the best one. See the dark green lines? Those are footprints from people going after their rockets. The anniversary of the Soviet Union's first Sputnik was two days earlier on October 4th. I named this two stage rocket "Sput-Two-Nik" in honor of the achievement. I thought it was clever, but it's actually quite awful. The Alpha, Amazon, Silverfish and Sput-Two-Nik were all launched twice and retrieved intact. 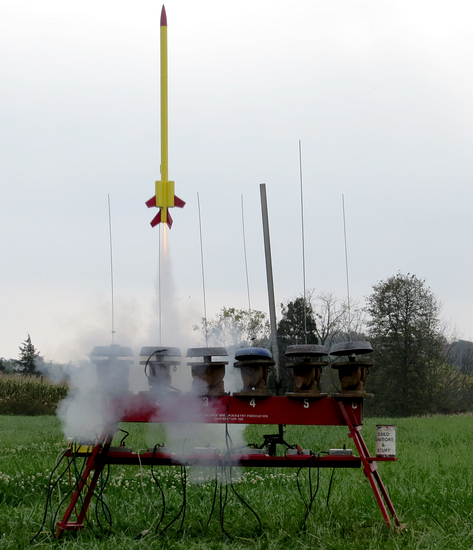 We put a small device in the rockets called a "keyfinder". It's made to find your keys. You put one in the rocket and one in your pocket. If the rocket gets lost you press your keyfinder and the other one beeps. Guess what we lost. The keyfinder! We put it into Matt's Amazon, and when the rocket was recovered the keyfinder was missing. We looked for it for over ten minutes, pressing the button on the other keyfinder over and over to no avail. It never answered. Pretty funny. We were the last ones to leave the field.